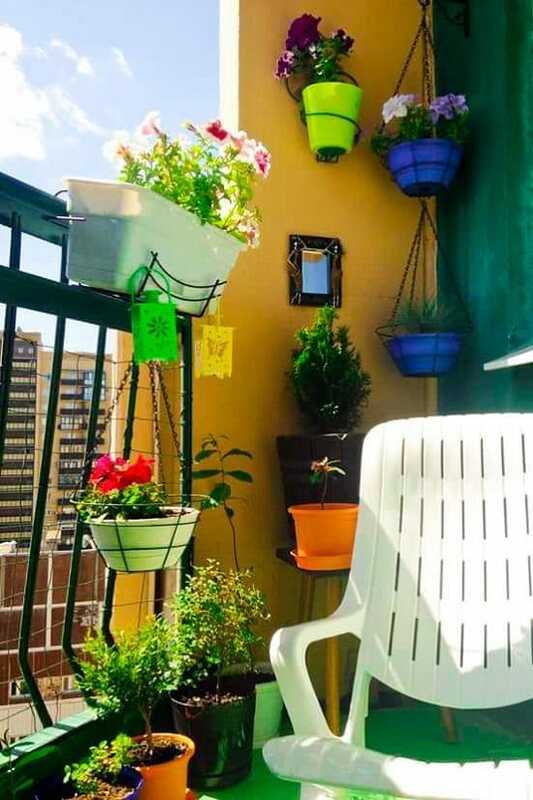 With growing number of concrete jungles and urbanization, balcony gardening is becoming popular. 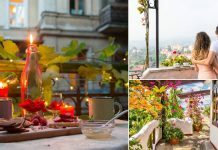 Here are some balcony gardening tips that are helpful in creating a fabulous garden on balcony. 1.Build up your garden gradually, begin with trying 2-3 plants, and understand your balconies climate and requirements of plants. 2. Find out, what’s the face of your balcony, for example if you have an east facing balcony you’ll receive morning sun of about five hours. This helps in determining what plants you should grow. 3. 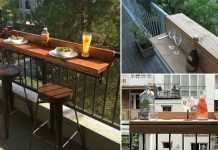 Ensure how much weight your balcony can bear, a concrete balcony is best. 4. Before growing any plant find out how much sunlight your balcony receives. Otherwise your plants won’t do well. Also find out if they are suitable for containers or not. 5. If growing flowers use no more than shade of 4 colors, this way your small garden will not look busy. 6. Use more large planters than small planters, using too many small planters will make it look cluttered. 7. 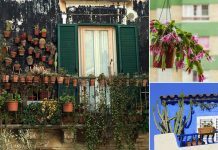 Buy terracotta pots for the balcony garden because it’s a windy and hotter space and terracotta pots keep the soil cool and drain excess water. 8. If your balcony garden is small, use tall containers, plus optimize vertical space as much as you can. This way you will save lot of space. 9. If you’ve planned to grow fruits and vegetables there, always buy dwarf and hybrid varieties. 10. Don’t spray chemical pesticides if you want to attract butterflies and birds. Read this post to learn how to make natural pesticide at home. Installing birdbath and bird feeder is also a good idea. 11. Don’t left shady space left abandoned you can grow herbs there. Read this article to know about shade loving herbs. 12. Hang frost proof plastic pots on railings and plant annuals like petunias and pansies in them to make your space colorful. 13. Use railing as trellis to support vines and climbers, you can grow clematis or morning glory on it. 14. Because dry wind blow often in balcony, do mulching. It helps in containing moisture in soil. 15. If you are a busy person. Plant succulents, they are maintenance free, drought tolerant and won’t die easily.